It’s no secret that Alabama’s Gulf Coast has some of the most beautiful sugar-white sandy beaches of anywhere in the world, but did you know that the culinary side of this area is just as amazing? Let’s meander through some of my favorite palette-pleasing spots and you’ll be ready to head south for some fine eats! One of my new finds has quickly become a favorite. Bill’s by the Beach is new to the area having opened in May 2014. The restaurant is situated ever so perfectly across from the beach creating prime views of the evening sunsets. First impressions are paramount and mine was of the wait staff and their friendly demeanor, quickly followed by an incredible dining room ambiance. Fresh farm to table, locally-sourced, seasonal ingredients make all the difference in each item on the menu at Bill’s by the Beach, not to mention the extensive wine and drink menu for pairings that complement your meal perfectly. Bill’s is open for breakfast, lunch and dinner…and I was there for dinner so we will focus on that. Appetizers, soups and salads are carefully crafted to stand apart from standard “house” salads, etc. For example, fried green tomatoes are popular in the south, but their spin was Fried Green Tomato Sliders with Coastal Slaw, Conecuh Bacon and spicy mayo toppings. Coconut Shrimp and Truffle Chips (fresh Idaho Potato Chips with White Truffle oil and Parmesan Cheese) were two of my favorites along with Chicken and Sausage Gumbo. It was tough deciding which main course to go with because it all sounded amazing. 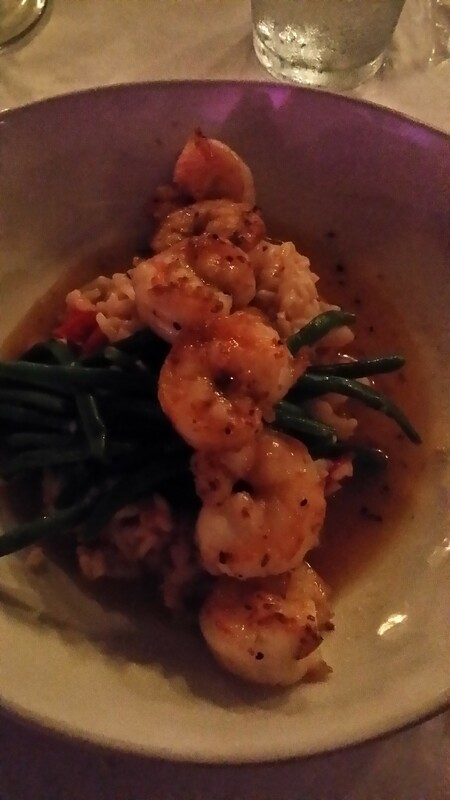 In the end, I truly love seafood, so I chose the Shrimp and Grits because of the over-the-top detailed description: blackened gulf shrimp with stone ground yellow grits, parmesan and smoked Gouda cheeses, and red eye gravy. Flavorful and different, this was a winner with me. My neighbor ordered an interesting seafood pasta that I tasted and it was equally tasty – truffle mac and cheese with shrimp made with cavatappi pasta with white truffle cream, smoked Gouda white cheddar cheeses, wild mushrooms and blackened shrimp. And, in case none of those sound appealing, there is a fresh catch on the chalkboard every day. If you are not a seafood fan, have no fear! Bill’s offers a great variety of steaks and burgers as well as chicken. There is something for everyone. And, save room for some doughnut hole bread pudding which is simply out of this world! Rich and plenty for two people, it is an excellent way to cap off a wonderful meal. Come early or stay late and enjoy The Turtle Bar at Bill’s where specialty cocktails are served on an open air deck. Come as you are in your beach attire or get dressed up and meet some friends. 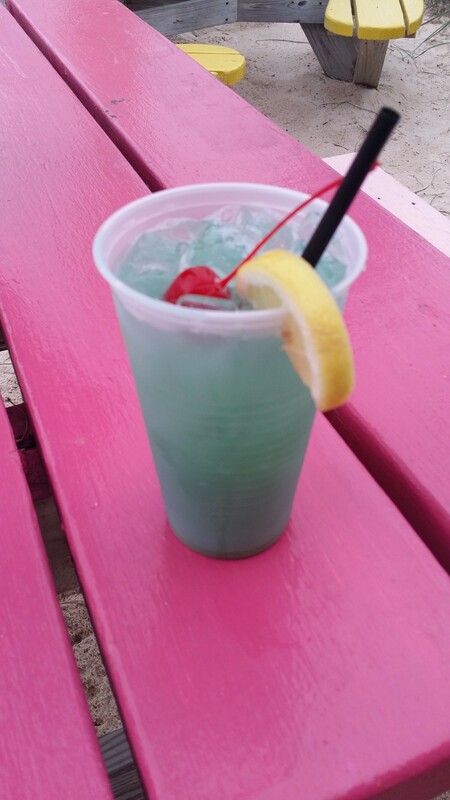 Either way, Bill’s by the Beach is perfect for your next night out in the Gulf Shores and Orange Beach area. Exceptional food with an incredible atmosphere is just what you’ll get. If you are looking for the best brunch on the beach, Bill’s is also the place for that! 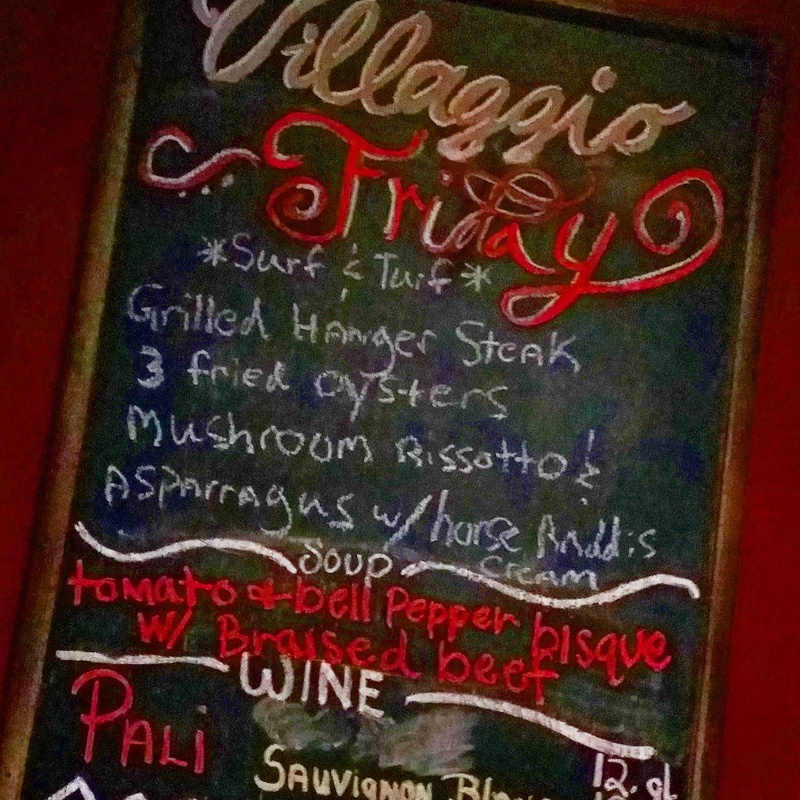 Located at The Wharf, Villaggio Grille is known for delicious Italian food served in an upscale environment. The wood-fire grill is the difference, along with fresh ingredients and a highly impressive wine list. Starting with appetizers is a must at Villaggio Grille and almost everyone at my table had “devils on horseback” which were later identified as bacon wrapped fried gulf oysters. Main entrees include such tempting goodies as truffle honey shrimp with risotto, pan-seared red snapper and beer braised short ribs. 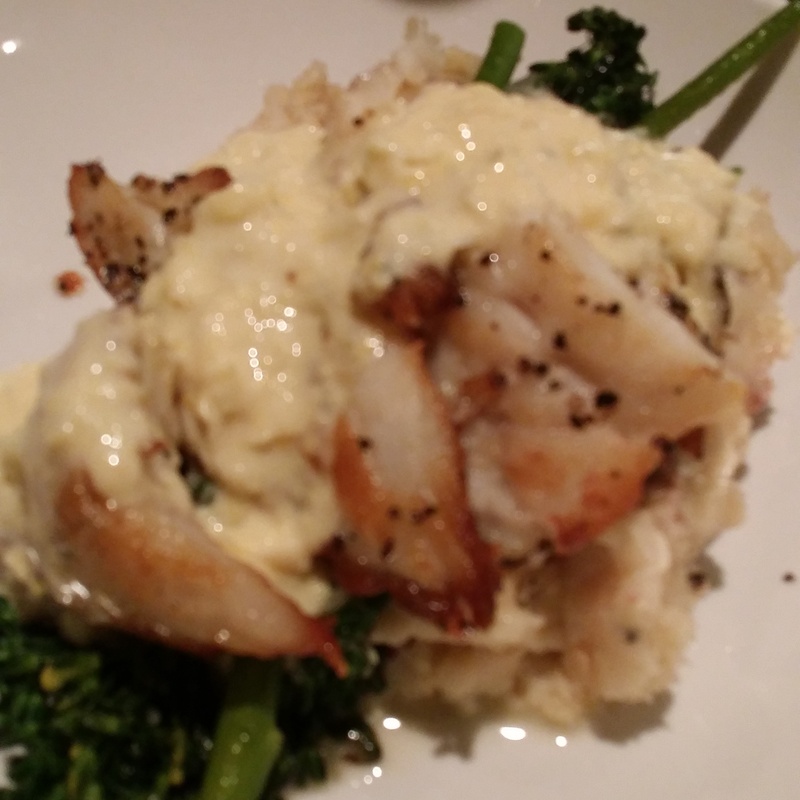 I chose grilled grouper with squash succotash, truffle mashed potatoes and brown butter gravy…and it was superb! The Wharf is known as one of Orange Beach’s premier entertainment areas, so be sure and spend some time there before or after a meal at Villaggio Grille. Dinner at Cobalt is truly an experience. This is a great place to catch stunning views of the sun setting by the Perdido Pass. I love to sit outside and eat at Cobalt…it offers such a fabulous atmosphere with a huge focal of a fountain surrounded by fire elements. You’ll find a generous mix of locals and visitors at Cobalt where the menu is a treat with choices like pistachio-wasabi encrusted tuna, lobster rigatoni and stone hearth pizzas. . .but this is the place where I almost always get the fresh catch of the day, grilled. It’s predictably grilled to perfection and I love the green beans as a side with almost anything. Whatever you do, you have to order the banana pudding for dessert. 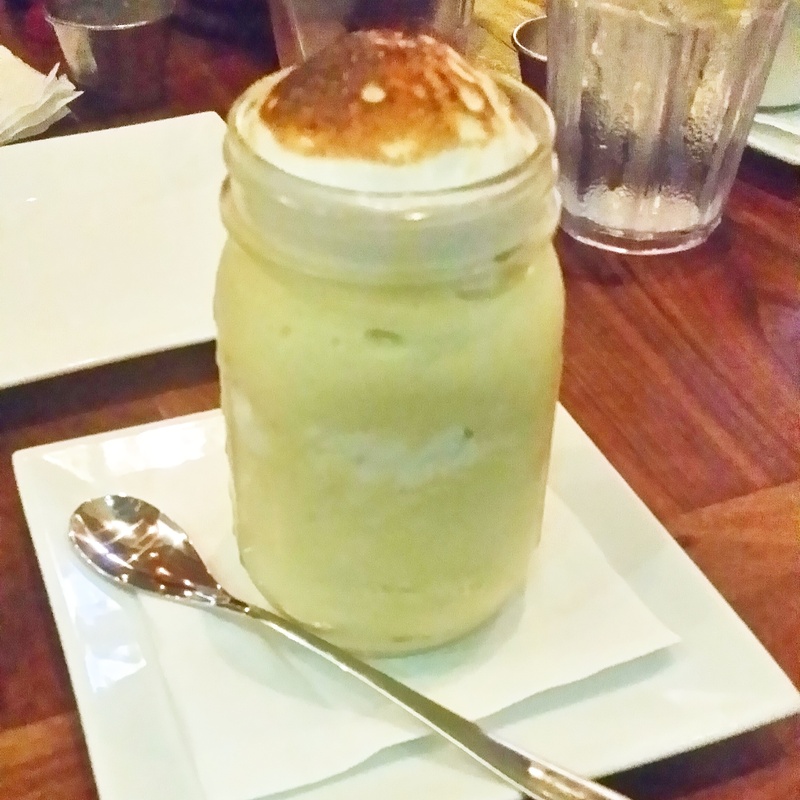 Not only is it scrumptious, but it is served in the cutest little mason jar! What an awesome presentation! There are so many reasons to love this beachfront dining venue, but the food is definitely the main one. Fresh seafood selections right from the Gulf waters, hand-cut aged steaks and locally sourced produce are all part of the menu at Voyagers. Let the expert wait staff help you choose a wine that pairs with your entrée and you are set for a fabulous meal! 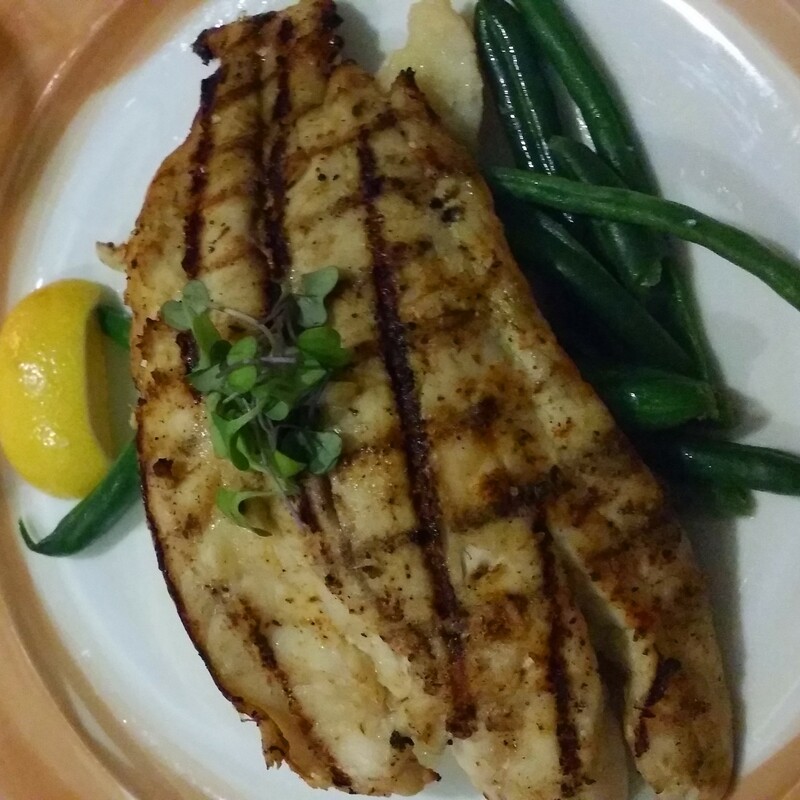 My favorite meal at Voyagers begins with seared scallops and is followed by a fantastic grilled snapper. If you aren’t feeling seafood, then try and amazing hand-cut rib eye. 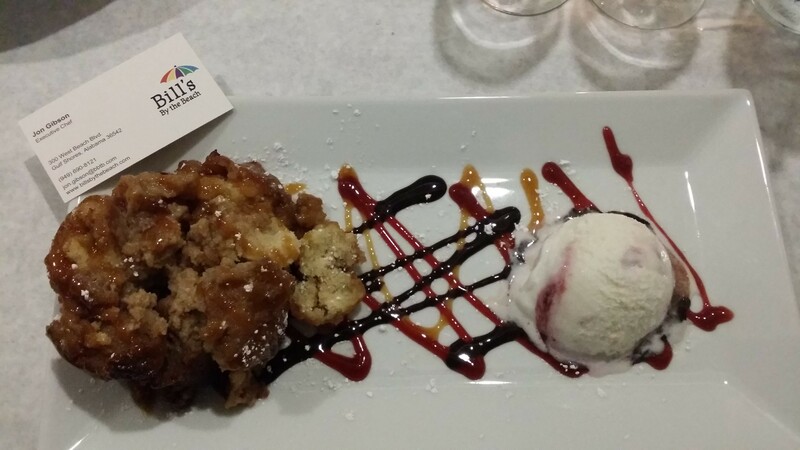 Desserts are special at Voyagers, too. . .like the six-layer coconut cake and Banana’s Foster bread pudding! Ooo la la! Resort casual is the dress code for Voyagers located inside Perdido Beach Resort at the Perdido Pass. A reservation is not required, but is helpful. Crazy Sista Lucy Buffett is well-known for her cooking…and her restaurant gives her the perfect opportunity to show off! 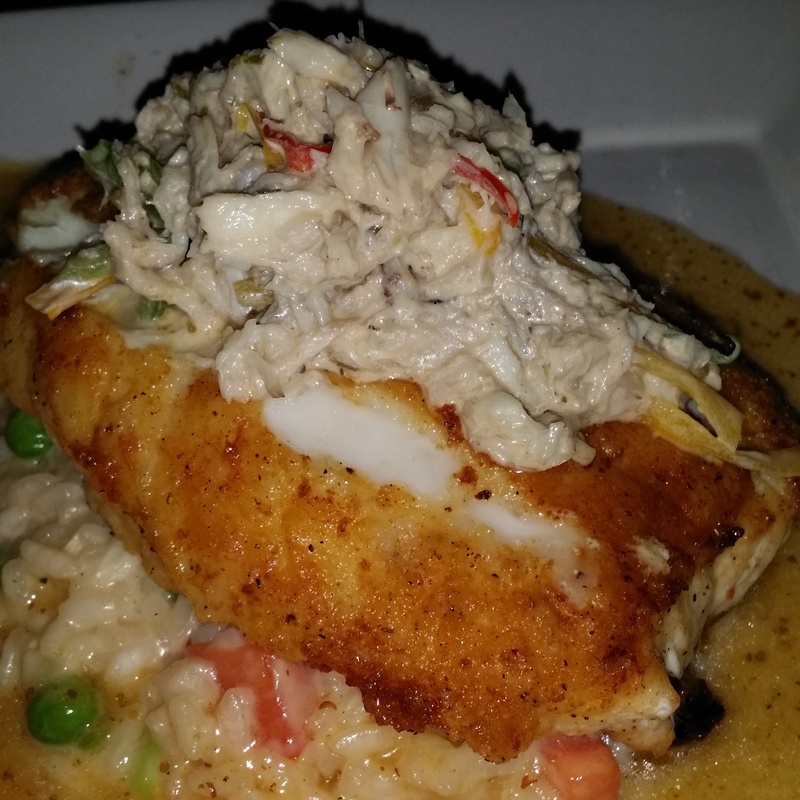 LuLu’s Homeport Marina is more than a place to eat. This once small starter restaurant is now a full-blown mecca of entertainment, shopping, activities and more! Sometimes the wait can be long at LuLu’s, so the idea is to have plenty of things to keep you busy. For starters, there are three exterior bars to grab a drink while waiting; a sand pile for the kids to tackle; games; a gift shop with plenty of souvenir choices; a ropes course; and an arcade! The wait will be over before you know it and you’ll be pouring over a menu with everything from fresh seafood to the famous Cheeseburger in Paradise. If allergies are an issue, check out the gluten free menu as well! 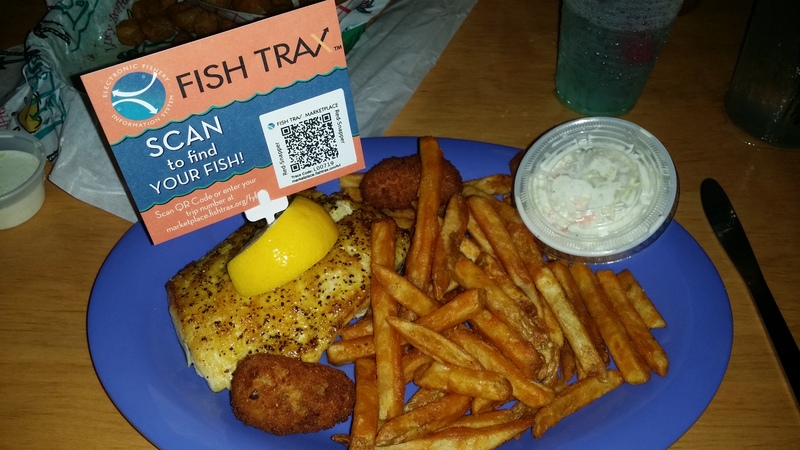 I love the fresh catch which comes complete with a QR code to scan for a location (within 10 miles) of where your fish was caught and what captain hooked it. Now that’s pretty cool! Lulu’s offers tasty dessert options including a lovely key lime pie so save a little room for that. Oh, and I almost forgot to mention that LuLu’s has the tunes of a live band playing every night which adds another dimension to the already lively atmosphere. 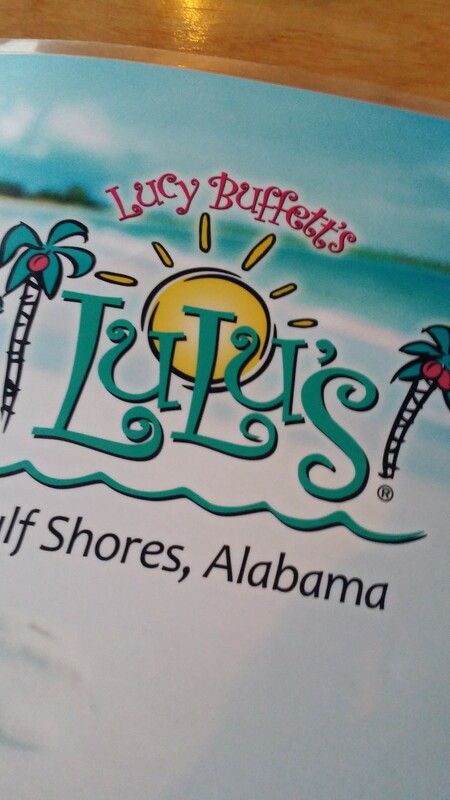 LuLu’s is just off Alabama Highway 59 at the Intracoastal Waterway and Homeport Marina and is now open in Destin as well. Come share the gumbo love with a place the whole family will appreciate! Gulf Shores and Orange Beach are bursting with culinary treats to contribute towards a beautiful vacation on the alluring beaches of Alabama’s Gulf Coast. Cheers to your palette!